Doctor Strange 2 is almost certainly going to happen at some point, but Benedict Cumberbatch sure doesn't know when that's going to be. Doctor Strange was released in 2016 and, considering how few people were familiar with the character prior to the release of the movie, it did quite well for Marvel Studios. So a sequel has seemed inevitable ever since, but there's no word on when it's going to happen and the man who plays the Sorcerer Supreme doesn't seem to know any more about it than fans do at this point. Marvel Studios recently released the full-length trailer for Avengers: Infinity War, which features quite a bit of Doctor Strange. 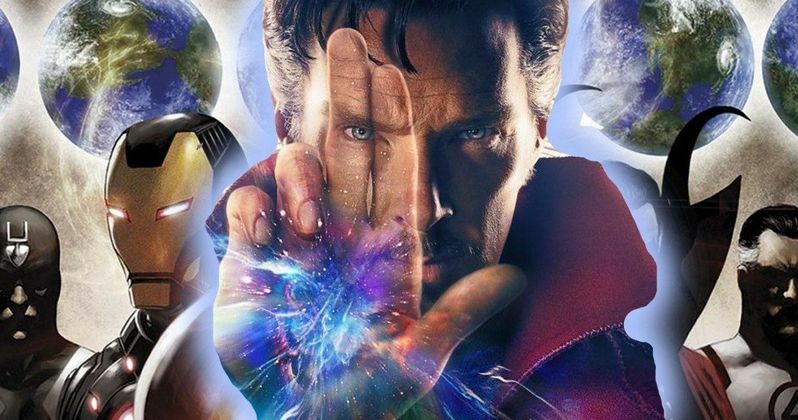 Benedict Cumberbatch spoke a bit about his role in the upcoming MCU event following the release of the trailer and, at one point, the subject of Doctor Strange 2 came up. Unfortunately, he didn't have much to offer for those hoping to hear that the sequel is on its way to getting made. Here's what he had to say about it. "Not at the moment, no. The masterplan is continually in flux, so it would be out of order for me to speculate." Kevin Feige, the man in charge of Marvel Studios, has indicated that Doctor Strange 2 will be part of Marvel's Phase 4 plans saying, "we would love to tell more about the Strange story," but he's also said that it won't happen for a while. Director Scott Derrickson has indicated his desire to return, but he's also stated that the sequel won't be happening for quite some time. Much of that has to do with the fact that Marvel has been very cagey about what is going to happen in the MCU after Avengers 4 is released next year. As of right now, the only movies we know we're going to see in Phase 4 for sure are the Spider-Man: Homecoming sequel, which will be the first movie to come out after Phase 3 concludes, and Guardians of the Galaxy Vol. 3, which is expected to arrive in 2020. There are movies like Doctor Strange 2 and Black Panther 2 that are all but certain. But we're not going to learn when they're going to happen or what form they'll take until after Avengers 4 arrives in theaters. But it's clear that the Sorcerer Supreme is going to be a fixture in the MCU for at least a little while. We're going to see a lot more of Benedict Cumberbatch as Stephen Strange in Avengers: Infinity War next month, as evidenced by the new trailer. He also appeared briefly, but memorably, in Thor: Ragnarok and will be in Avengers 4 as well. So those who are looking to get their sorcery fix are going to get the chance. Even if Doctor Strange 2 is still a while away, there will be plenty of Cumberbatch in the MCU between now and then. This news comes to us courtesy of Entertainment Weekly. Is Doctor Strange 2 Coming in 2020? Is Doctor Strange 2 Introducing Namor to the MCU? Doctor Strange 2 Brings Back Original Writer C. Robert Cargill?